Born on an Air Force base in Illinois, Katy spent most of her early life traveling with her military family until settling down in Ottawa, Canada. There she attended the local arts high school, Canterbury HS, and garnered her first professional role in the National Arts Centre’s production of “Macbeth” as First Witch. She then completed her acting studies at the National Theatre School of Canada. 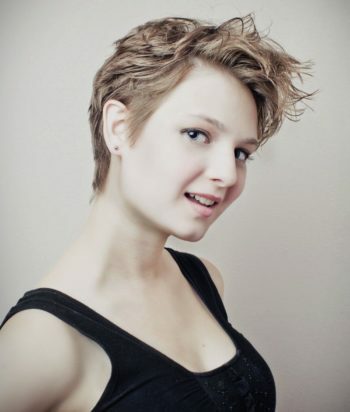 Katy has appeared in multiple television shows, theatrical productions and has provided voice-over work for the CBC.